30 July moved to Saisseval west of Amiens on the Somme River. 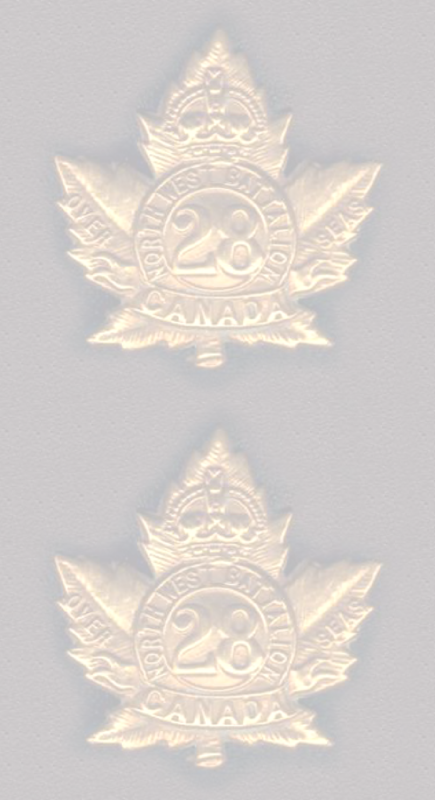 Battalion strength at the end of July was 47 officers and 1011 other ranks. On 6 Aug WLH was listed as one of three platoon commanders in C Company, as was J B Bridge. It is quite possible that WLH was assigned to this position when he arrived back at the unit in July. Training during July: Drill, Lewis Gun, Tactical Schemes, Musketry on Range, Bayonet and Assault Practice, route marches, physical training, bombing and rifle grenades, brain stimulating exercises, assault training competitions. For officers, tactical schemes, Field Service Regulations, Lessons on Recent Fighting, Anti-Gas training. 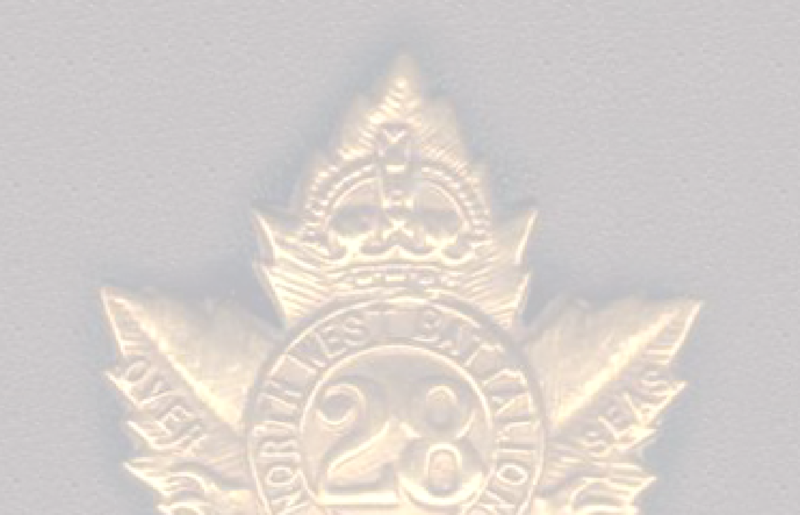 Signalling and runners, Snipers and Observers, Quartermaster Section, Servants Parade, Medical Section also trained. They were usually chosen from the Officer’s Company and followed him into battle situations or reserve positions. The first batman assigned to WLH was Pte A E Chrismas MM. Little is known about him, except that he was killed at Amiens on 9 August 1918, probably in the same battle in which WLH was wounded. He is buried in the cemetery at Rozieres. WLH was then assigned a batman known only to the family as Rene. Rene was black, but no other information was available. It is likely that he was known by his surname. But just when he was assigned to WLH is not known. 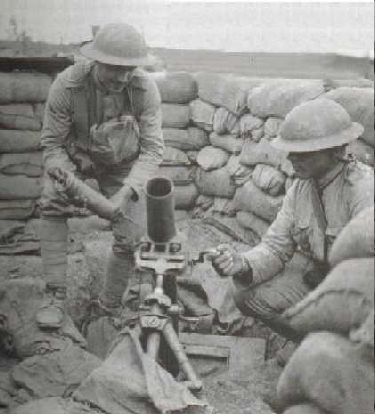 Stoke mortars, designed in 1915 to be a counter weapon to the German minenwerfer mortar. It typically fired a 3.2 in bomb. As the bomb was dropped into the tube a pressure sensitive primer contacted a firing pin to detonate. It required a crew of 2. 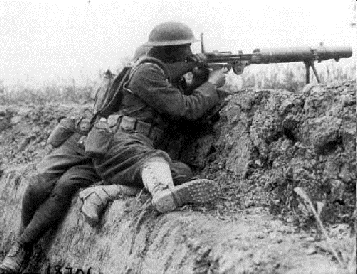 Lewis Gun: a Light Machine Gun invented by, but never used by Americans in WW1, licensed to Birmingham Small Arms Company (BSA) the Lewis Gun was available to the British Forces in August 1914. It weighted 28 pounds, with an overall length of 50.5 inches meant it was very portable. It fired 500—600 .303 calibre rounds per minute. Each infantry battalion was issued with four guns by June 1915 with 16 per Battalion being issued by the time the Army reached the Somme. 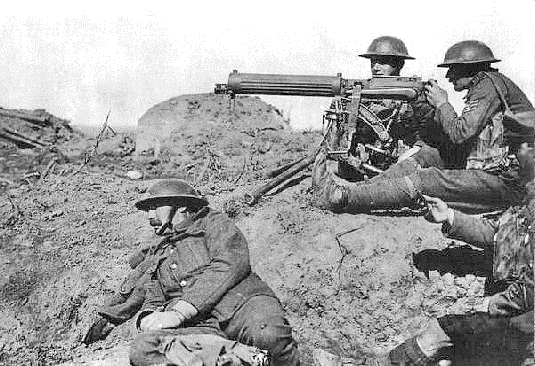 Vickers Machine Gun was a medium machine gun, water-cooled.303 British (7.7) machine gun produced byVickers Limited, needed a 6 to 8 man crew. It was very reliable and fired for long periods without failure. The so called Heavy Machine Guns usually used standard rifle ammunition and were called heavy because of their weight. They were designed to give long range accuracy with reliability and accuracy. All armies trained their own troops to use captured weapons. http://laughton.ca/documents/ww1/pub5.pdf GOOD REFERENCE OF THE BATTLE. Up to the day of the attack, the issue of secrecy was paramount. The general objective was to be a mobile war, driving into Germany using several armies including all four divisions of the Canadian Corps. The first objective on the ground for the 6th IB was to free the Amiens-Paris railway. 6th IB/28th Bn moved forward at 5.50 am on 8.8.18 and halted at 7:30 am. Ordered to move forward again at 8.45 am and halt at 12.30 pm, forward again at 2.30 pm and halt at 4.30 at the Blue Line Objective. 28th Bn spent the night as support. At the end of the first day 16,000 yards had been taken. On the morning of the 9th the 6th IB attacked Rosieres. Assault launched at 11 am. Bns came under fire on the Santerre Plateau where they faced 40 Maxim MG. At 12.30 the 31st Bn was held up and the enemy preparing to attack. 28th Bn C Coy sent to assist. CO of C Coy killed. * Fighting heavy and B & C Coy of 28th Bn withdrawn east of Rosieres. 10.8.18 4th Div passed through 2nd Div and 28th Bn remained in overnight position.